Cocoa Butter Cream contains Cocoa Butter, which is an aromatic solid butter, pressed from the roasted seeds of the Cacao tree. It is a superb emollient that softens and protects dry and chapped skin and could also contribute to reducing signs of wrinkling and stretch marks. 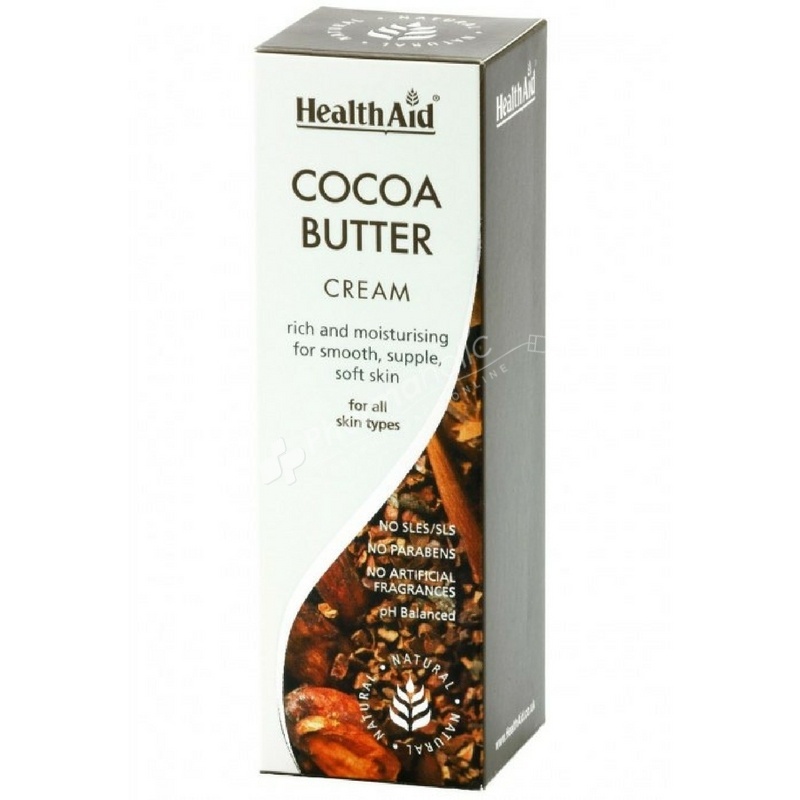 HealthAid has formulated this cream using high quality Cocoa butter, which is readily absorbed, non-greasy and helps to lubricate, moisturise and soften the skin, while improving skin elasticity.